Morrisville, NC – If you are cooking for your family and friends and they all have different dietary needs, it can be hard to find everything you need in one place. 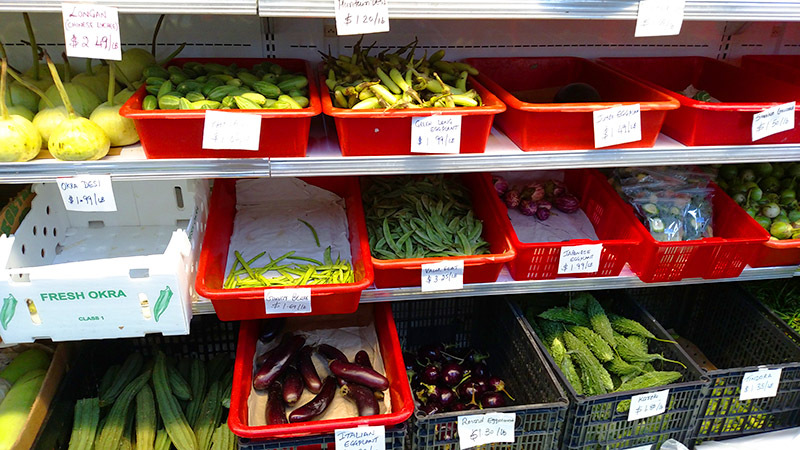 But at Morrisville’s Apna Bazar, the vast diversity in ingredients means there is something for everyone right in store. 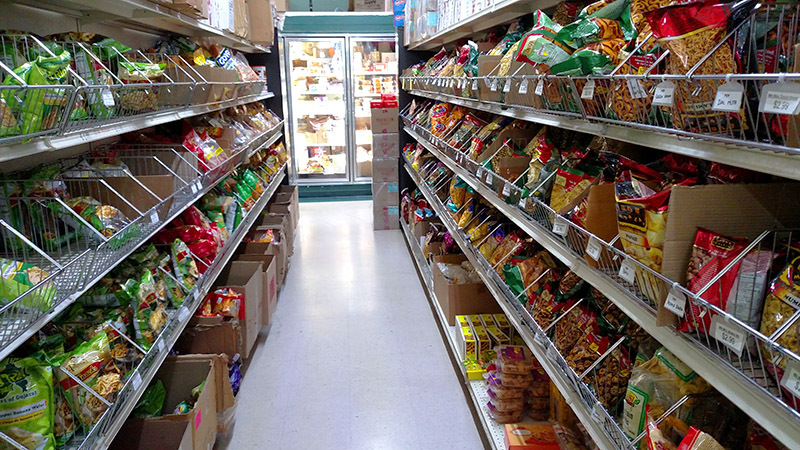 Apna Bazar, located on Davis Drive in Morrisville, is a grocery store with food primarily from Southeast Asia. 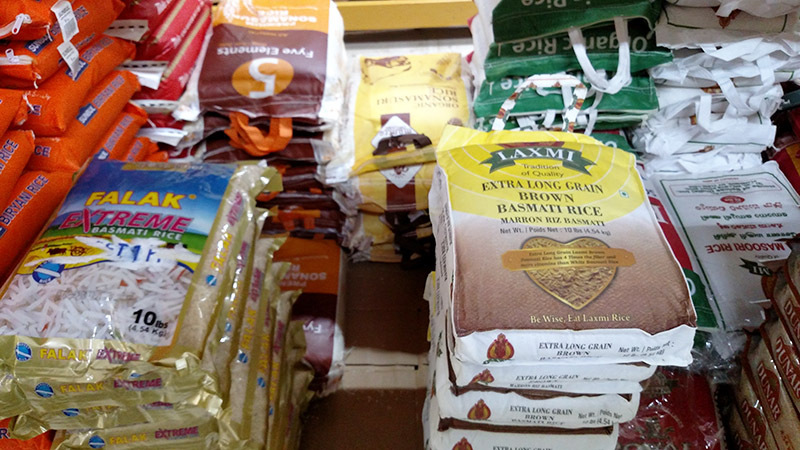 One of the first things you see walking in are large quantities of rice, wheat, beans, lentils and pulses, a kind of dried pea used as a grain. Speaking of spices, Apna has a long aisle of both bulk spices for shoppers to take and use as they wish or spice blends that are specially crafted to create familiar tastes. Apna opened in 2009 and it is still expanding, with a large frozen food section and plans for a butcher’s shop. Across from their meats, Apna has a selection of fresh fruits and vegetables, many of which are unique to the Southeast Asian region. For example, they have parval, which is commonly used in stir fries with some mild spices or it is eaten by itself as a healthy side dish. “We also have karela, which is a bitter melon and it is very popular with diabetics,” Deva said. “In the morning, you grind it up and get the juice and take it like a shot. It helps control your blood sugar,” although it should not be taken as a replacement for other medication. 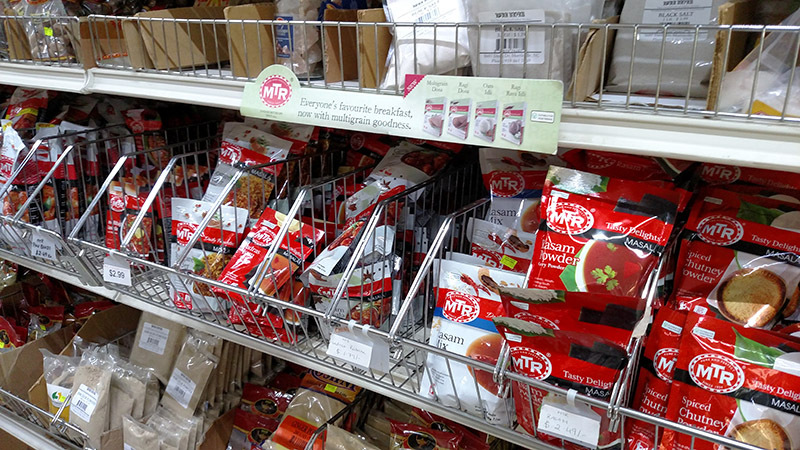 While Apna Bazar carries everything a cook would need to make a delicious, authentic Southeast Asian dinner, they also have products to make good food easily and quickly. Deva said their frozen food section, which was once just one freezer, has “exploded” in popularity and now takes up a large portion of the store. In the frozen food section, Apna carries dishes from all around India and Deva said each state has very distinctive tastes. This section is broken up to show dishes that have meat and dishes for vegetarians. Similarly, there are many pickled items in Apna that Deva said last for years. “When you don’t feel like making anything, they’re good and they go with anything,” he said. To go along with vegetarians, Apna carries many varieties of paneer, an Indian cheese that is commonly used as a meat substitute as a source of protein. There are also a lot of different kinds of batter for dosa, a kind of Southeast Asian pancake, as well as other breads such as naan and chapati. Apna also has an aisle for the various popular snack foods of India and Southeast Asia, such as Chekkalu and Haldiram’s Panchrattan. To go along with snacks or even a full dinner, Apna carries a variety of drinks that Deva said are popular oversees. There are juices made from mango, lychee and guava, ginger beer and drinkable yogurts flavored with fruit. Another popular drink is Badam, a mix of milk, crushed almonds and saffron, which Deva said he sells out of during the summer. If you’re interested in stopping by and shopping around, Apna Bazar is located at 3607 Davis Dr. in Morrisville.